Have decided to publish these regularly. If I do it annually, those coming in at the end of the year will hardly ever have a chance of making it to the top. Kanturk's Jack McCarthy just made the quota, 700 hits. Blarney newcomer, the Square Table, goes straight in at #8.
the McCarthy castle depicted in the background. 3 Electric. Easy to book. Hard to leave. 10 Jack McCarthy Butchers. An Afternoon in Kanturk. Heather. 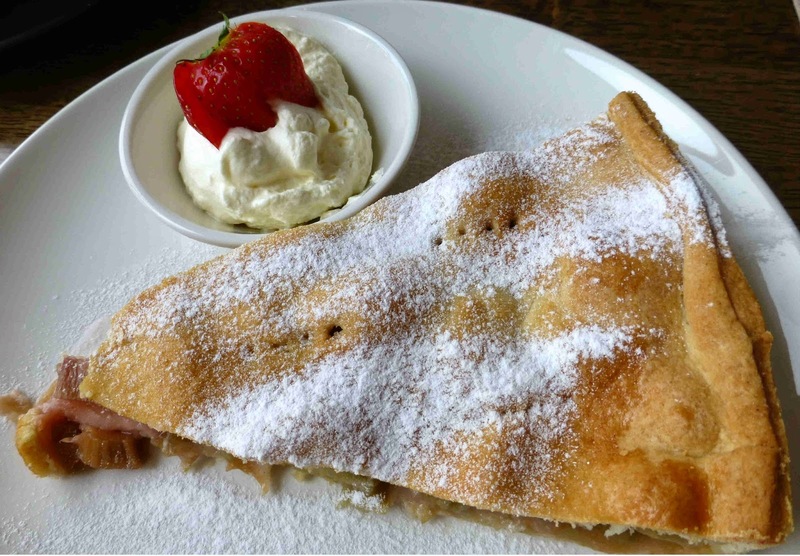 Eat in Style at Gap of Dunloe. Heather. A Taste of The Gap. Quiche, Heather Style. Very Highly Recommended! 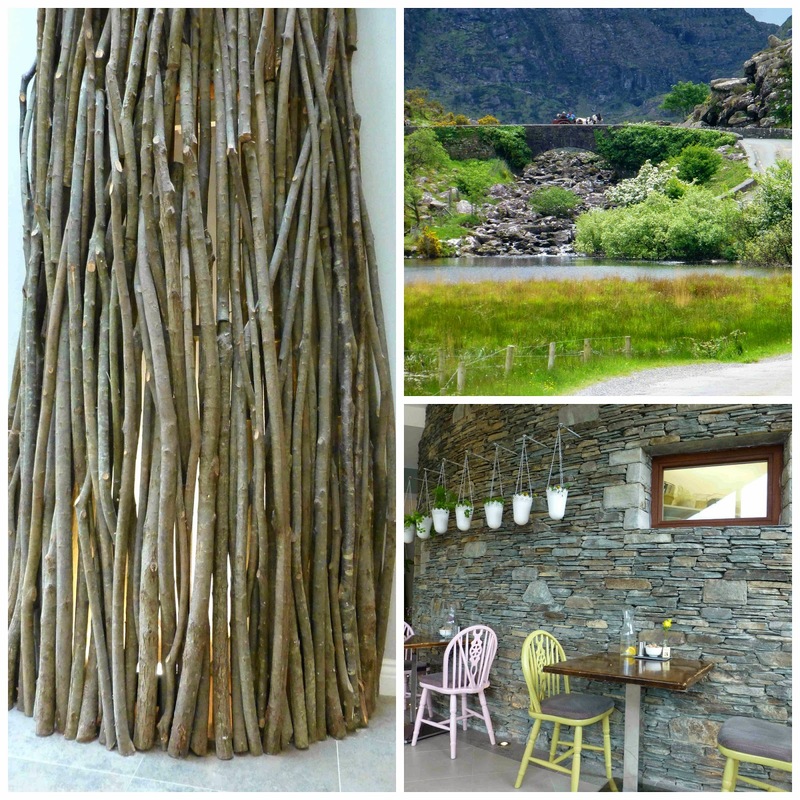 The new Heather Restaurant at the Gap of Dunloe is at once a celebration of the past and a confident step into the future. It is also backing local producers and the food, including provenance, cooking and presentation, is really excellent, and that can only be good for tourists and locals alike. Fifty years ago, the enterprising Moriartys opened a small gift shop close to the entrance of the renowned Gap, a spectacular valley, with cliffs and lakes and a huge echo, created in the dim and distant past by ice on the move. Their warm welcome and quality goods proved a successful combination and bit by bit they expanded the shop, so much so that the family had to leave and find a new house! 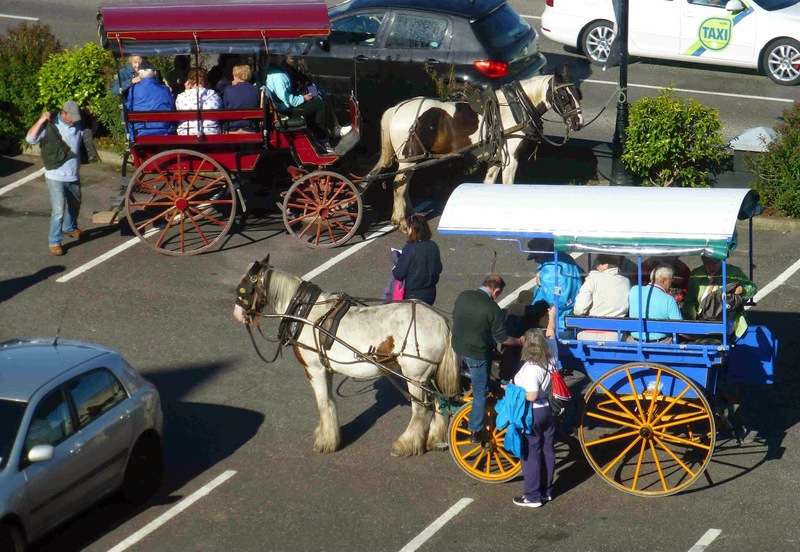 Husband and wife Michael and Margaret Moriarty started that wee store in 1964 and it predominantly operates in the coach tour market, welcoming visitors as they enjoy The Ring of Kerry tour. The shop, offering high quality Irish goods, including a great selection of clothing and gifts, is still going strong. A new generation, Denis Pio Moriarty and his wife Ailish (who showed me around in midweek), has taken up the reins and the couple are guiding the new venture, playing a pivotal role in the interior and exterior designs. It is not just a restaurant. 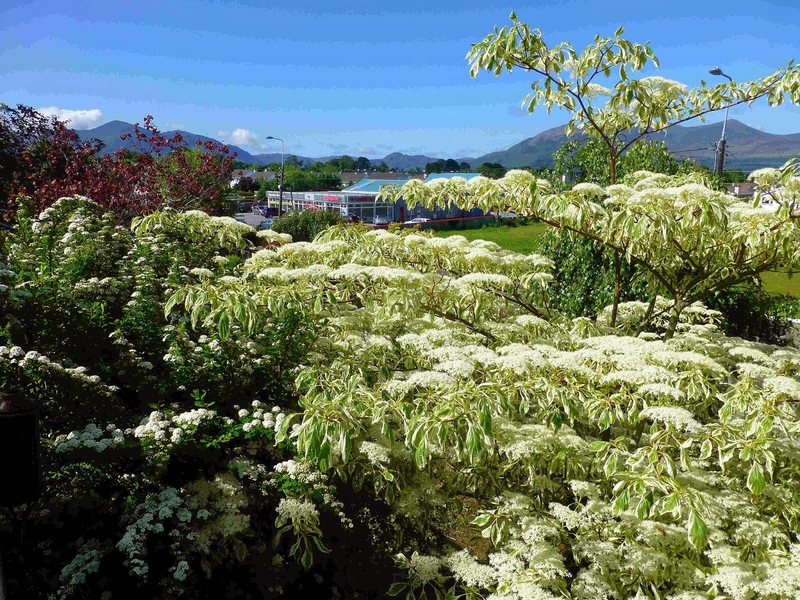 Five acres of multi-level gardens, with great views of the McGillacuddy Reeks, have been set out and will be spectacular when in full flower. Not all the ground is given over to the ornamental planting. They will be growing their own salads and vegetables, mostly under cover, and Ailish hopes to have some on the menu in Heather in the coming summer months. 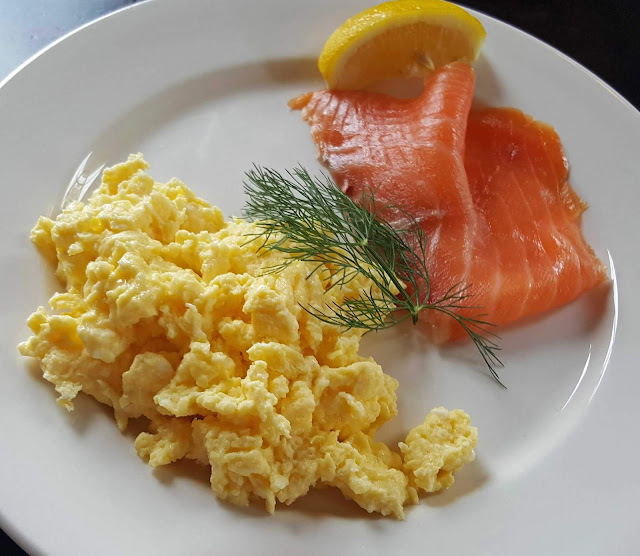 The bright and spacious restaurant, set alongside the River Loe, is a great spot to start or finish your tour of the Gap or before or after any of the many walks in the area. Here you will be well fed with the best that the artisan producers of Kerry and Cork provide. And if you want a genuine local drink, then that is what you’ll get. You can sample the craft beers by Mountain Man Brewing, the lovely ciders of Stonewell and some smashing apple juice drinks from the orchards of Ballyhoura Apples. It is open from 11.00am until 6.00pm daily, telephone 064 6644144. Other suppliers include: Toonsbridge Buffalo Mozzerella, Kenmare Gouda, Ballinskellings Chicken, Glenbeigh Cockles and Mussels and Ring of Kerry Lamb. The menu is a name dropping of who’s who in local artisan food producers as well as being something of a geography lesson! The menu for Heather comes on a brown paper, reminiscent of the old brown paper bags, and it takes quite a few sheets. Watch out too for the daily specials. And they also do a Kids Menu that includes half portions of the adult dishes. Lots of non alcoholic drinks too. Teas from Barry’s and Solaris (Galway) and Skelligs Chocolate Hot Chocolate and coffees specially roasted for Heather. The wine list may be short but again the quality comes through. And not just the regular varieties. 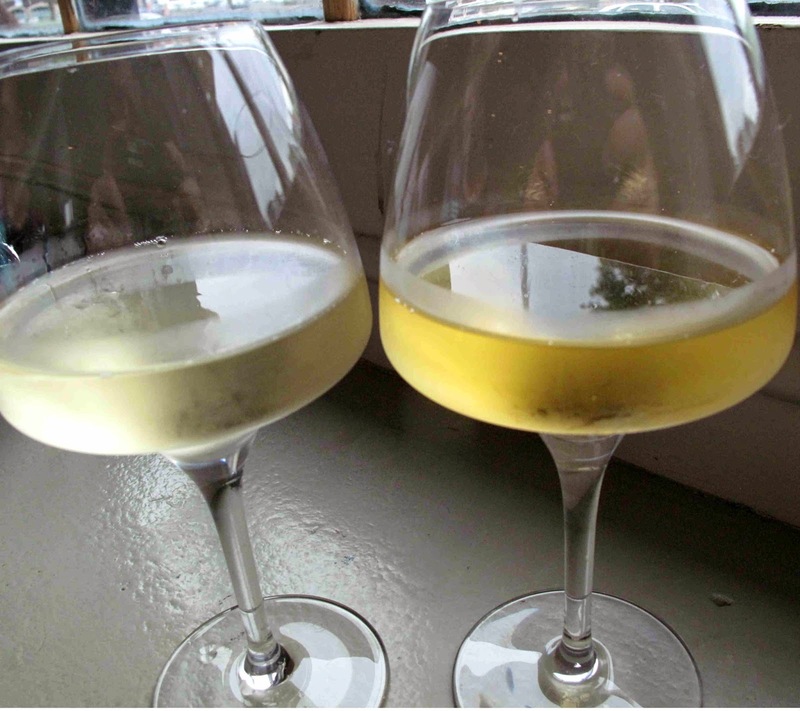 You can of course have your Sauvignon Blanc and Rioja but maybe you'd like to try the Gruner Veltliner (Austria) and Zinfandel (California). We “worked” our way through the menu on Tuesday and it was a pleasure from start to finish. 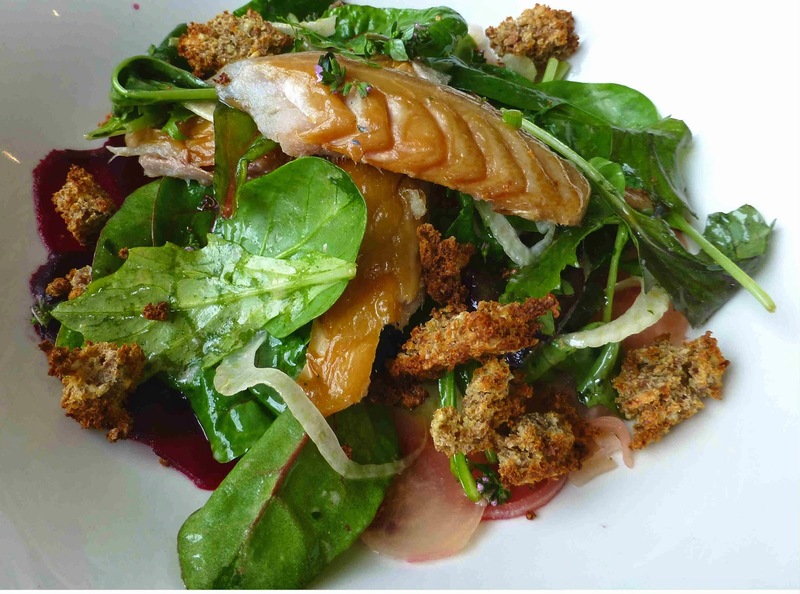 I enjoyed my Beetroot and Goats Cheese Salad, with orange, fennel and fresh as could be garden leaves (€8.00) while CL was more than pleased with her Smoked Mackerel Salad that came with Candied Beetroot, Rhubarb Chutney and Rye Croutons (€7.50). We were tempted by the Spring Lamb Stew (€15.00). 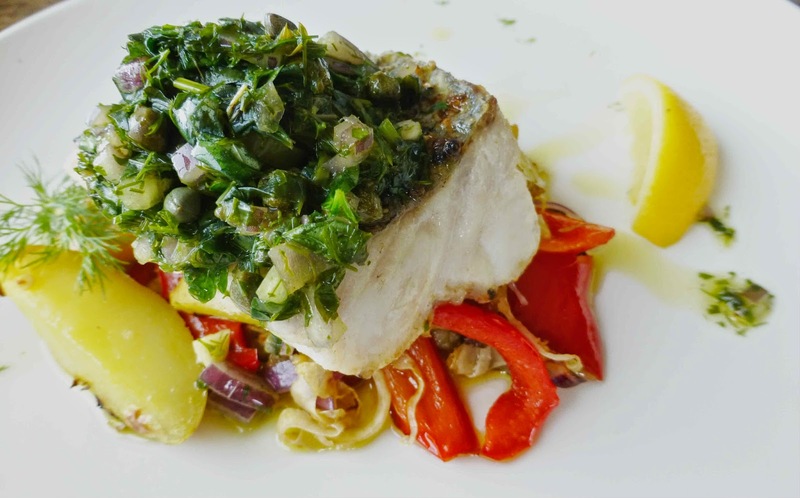 In the event, CL choose the Wild Atlantic Hake, with red peppers, fennel and Salsa Verde. 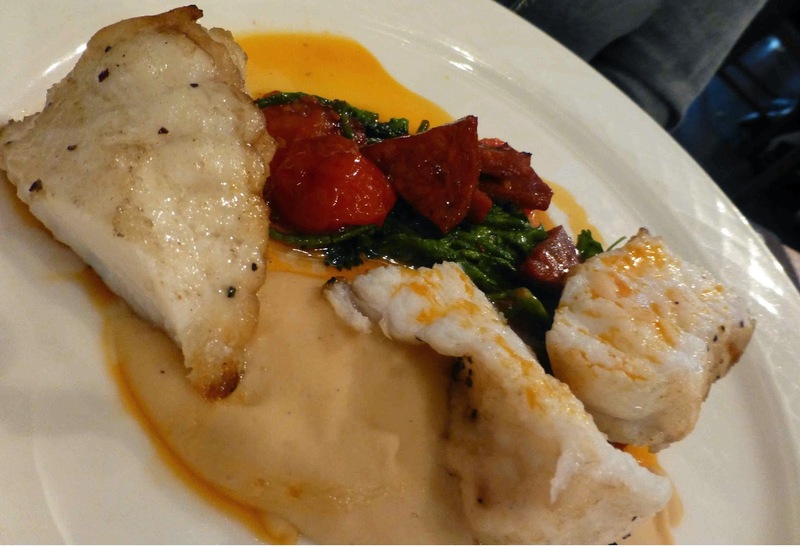 The Hake was fresh, just out of the Atlantic, and the whole combination was light and appetising. Really superb. She was very happy but I must say I was thrilled with my quiche. 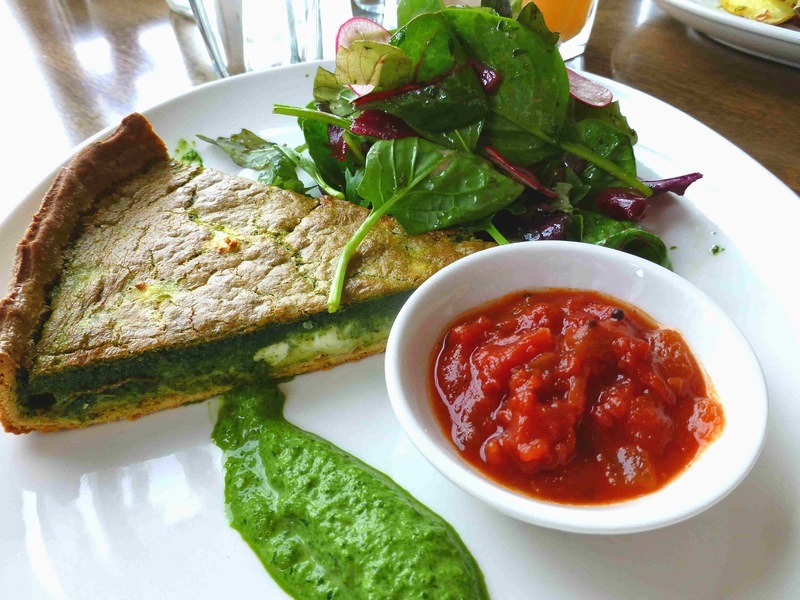 This was a rather special, almost melt in the mouth, quiche, described as Wild Nettle and Feta Quiche, with Parmesan, Mixed Garden Leaves and, yes, an outstanding homemade Tomato Chutney. I could go on about this but will simply recommended that you do try it if you get the chance. My mains cost €12.50 while the other was fifty cent less. We had walked for over an hour in the Gap earlier and so felt we deserved dessert, one each this time! We got a generous slice of an Orange and Cranberry cake and another of Rhubarb Tart and two cups of Maher’s coffee to bring the curtain down on an excellent lunch in lovely surroundings. Comfortable too and spacious and some nice touches, such as the elevated glass fronted fire (not in use on Wednesday! ), the exposed stone on one section of wall and the sally saplings craftwork backlit feature that rises up the full height of its wall. This was crafted, the saplings still young enough to be pliable, by a local man and Ailish says it has already become quite a talking point. Indeed, the Heather Restaurant, in a stunning location and with high quality cooking and presentation of the best of local produce, looks all set to become a talking point itself. Ross Castle on the lakes, quite close to Randles Court and Dromhall hotels. First she said she was six. A little later, Kay Randles admitted to maybe being sixteen when she and husband Neil started in the hotel business in 1964. 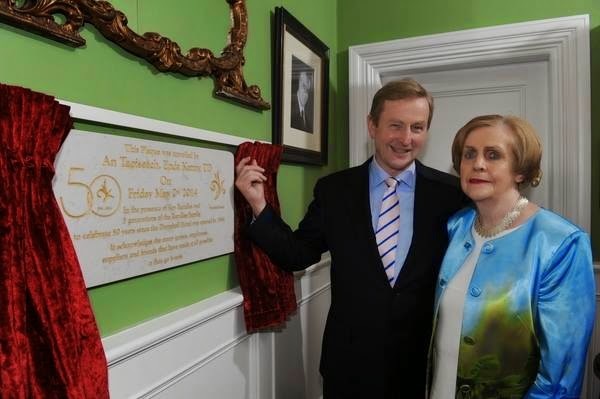 That was the year they purchased a bungalow across the road from their thriving garage business in Killarney and opened an 18 bedroom hotel on the site. Sadly Neil died in 1987 and Kay was left to carry on managing the Dromhall and the other family businesses as well as rearing their six children, three of them at that stage involved in the family business. No stopping Kay and in 1992, The Rectory next door was purchased and another hotel built, this the Randles Court, a 4 star hotel. The family decided to knock down the Dromhall in 1999 and in June of the following year, it was reopened as the brand new 72 bedroom, conference and banqueting hotel, that it is today, along with the well known Kayne’s Bar and Bistro which is attached to the hotel. So in 2014, the four star Dromhall celebrates 50 years in business and that means fifty years in her own hotel business for Kay who still continues to play a major role in its management. The young lady from Kilworth has come a long way from her days working up the ranks in the Victoria Hotel in Cork City. Her teenage dream of having her own guesthouse has been spectacularly surpassed. It was great to have a brief chat with her on a recent visit, even if we didn't get anywhere, not that I was pushing, about her true age back in 1964. Daughter Susan is the Sales and Marketing Director at Randles Hotels and she is expecting a busy season. We met in the stylish and comfortable drawing room of Randles Court and indeed that style is present throughout the hotel, much of it thanks to Kay. Susan says that not all diners now require a sit down three or four course meal and so the Randles menu has been adjusted, is more flexible. You can of course still get your big meals but, between the bar menu and the restaurant menu (and that Checkers Restaurant is another striking room), you can have small meals and in-between ones (light bites from seven euro) as well. the celebrations earlier in May. Everything from Marinated Olives for two euro to a steak. The steaks, served with a Knockanore Smoked Cheese, Onion and Mushroom Tart, Garlic and Rosemary infused Tomato and Pommery Mustard Cream, are supplied by Cronin’s and are as popular as ever. Late in the evening, we enjoyed some banter and a lovely glass of Rioja in Wiggs Bar and The Conservatory. Wiggs Killarney Bar brings you back in time as it is part of the original building dating back to 1906. Even the stained glass feature has been maintained. Indeed, the original facade of the Rectory has also been maintained and fronts the hotel's reception area. Our room in Randles Court, by the way, had everything we needed, including WI-FI and views of the mountains, but we also enjoyed some very comfortable furniture and there was no shortage of paintings on the walls. Indeed, you’ll see lots of paintings and sculptures and occasional furniture throughout the hotel, in the rooms and along the corridors. Kay has been collecting for a long time! The facade of the old rectory was maintained. And the same high standard is seen in the breakfast room. Terrific service and quite a menu here as well, including the ever popular Full Irish! And they do list their suppliers. 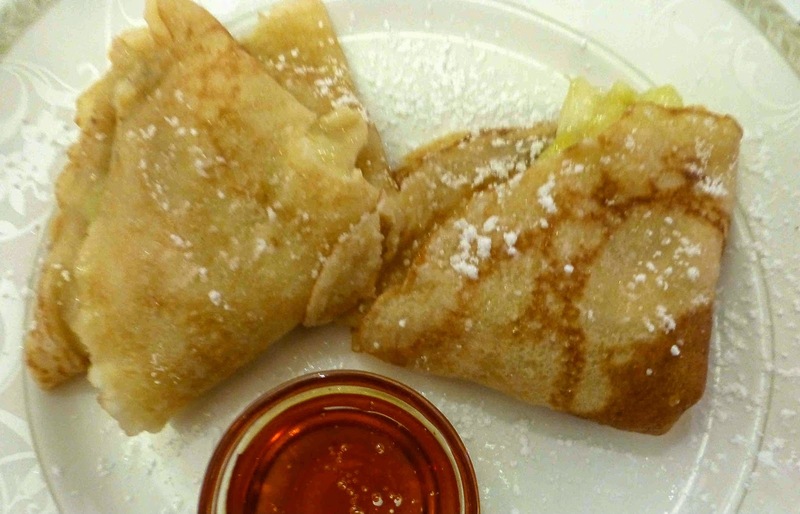 On the day, I picked the freshly made Crèpes Normande with Apple Purée. A slightly different start to yet another lovely day in Killarney. The adjacent Dromhall is another four star hotel and you may check out its many facilities here. We didn’t get to visit this time but we did eat there about a year ago and it was a very enjoyable meal indeed as you can see in this post. And you’ll find a previous review of Randles Court here. 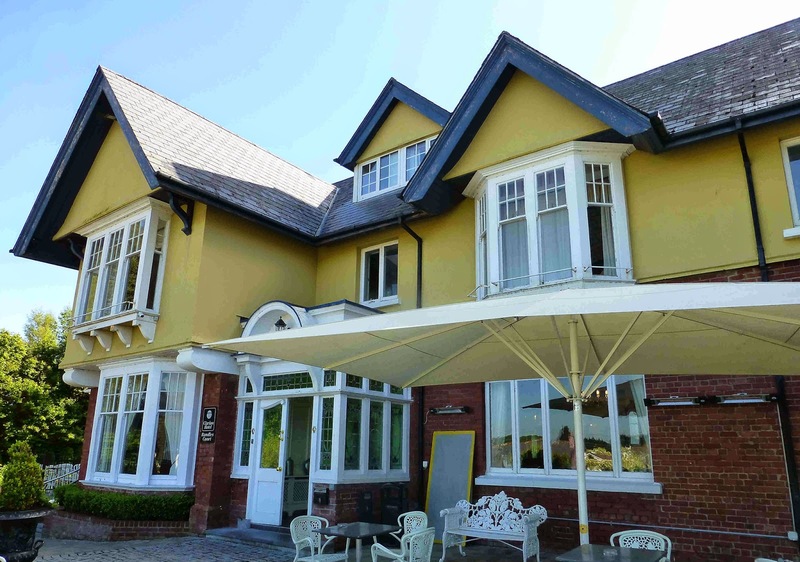 Both hotels are within minutes of Killarney town centre and are ideally situated as a base for the nearby National Park and also the spectacular Ring of Kerry. Killarney is one of my favourite towns as there is so much do in the immediate area and even more in the general County Kerry area. Either of the Randles hotels would make a terrific base if you are following the newly established Wild Atlantic Way. The new Heather Restaurant. Eat in style at the Gap of Dunloe. Twenty Four Hours in Killarney. New bus services. If you do get to Kerry you may not want to leave. 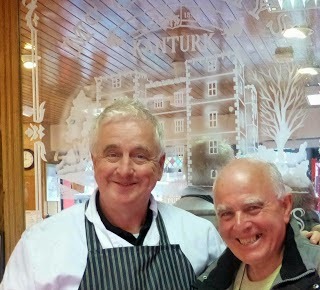 I have details of things to do and see available in my Corkman on Tour blog. See the Kerry portfolio here. Just a couple of weeks back, I blogged about a fabulous lunch at The Square Table, the new restaurant in Blarney. Said I couldn't wait to go back for dinner. Made It last Friday evening and it was absolutely superb. The menu may not be extensive - it is not a big restaurant - but the quality is outstanding. Martina Cronin is the chef here and she has worked - and obviously learned - in some high class places, such as Chapter One and The Residence on Stephen's Green. 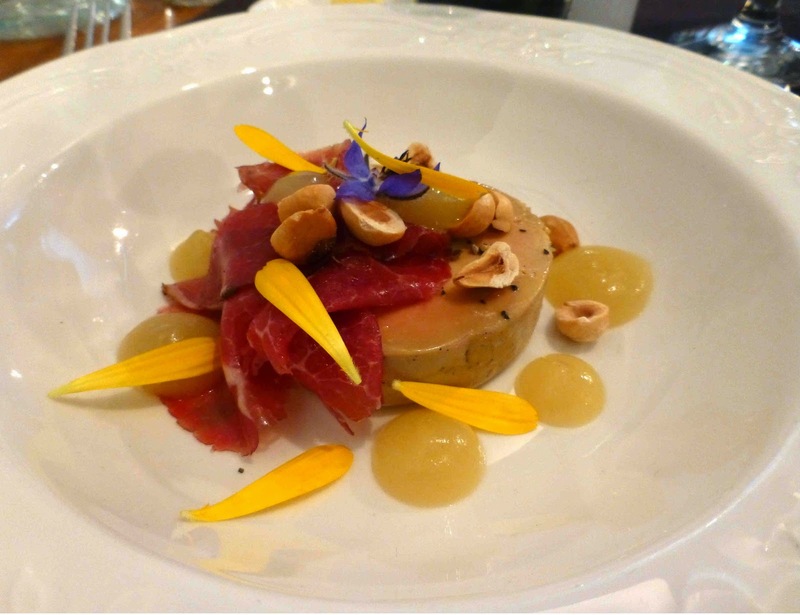 That lovely Mushroom and Wild Garlic Soup was again on the menu but this time I went for the Tom Durcan Carpaccio of Spiced Beef served with cured Foie Gras, apple puree and hazelnuts. This was incredible. The Foie Gras was delicious, the whole enhanced no end by a lovely walnut bread on the side. Our other starter was also top notch. 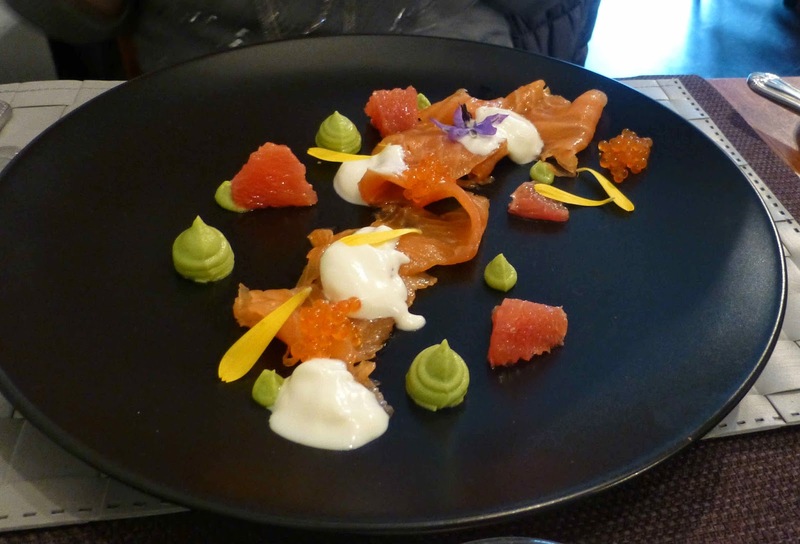 This was the eye catching Old Mill House Smoked Salmon and it was served with avocado puree, ruby grapefruit and Goatsbridge Trout Caviar, another delicious delight. The bar was set high and it stayed well up there as the mains came on. I was sorely tempted by both the Roast Monkfish, with cocoa bean puree, Gubbeen chorizo, coriander and confit tomato and by the Michael Twomey Aged Angus 11 oz rib eye steak served with chips, onions rings and Bearnaise. In the end though, I picked the East Ferry Free Range chicken, served with celeriac, ham and Coolea Aged Cheddar. The celeriac, ham and cheese was served as a gratin in a separate bowl and was out of the world. What fantastic flavours to match a gorgeous chicken and gravy! A five star dish for sure. 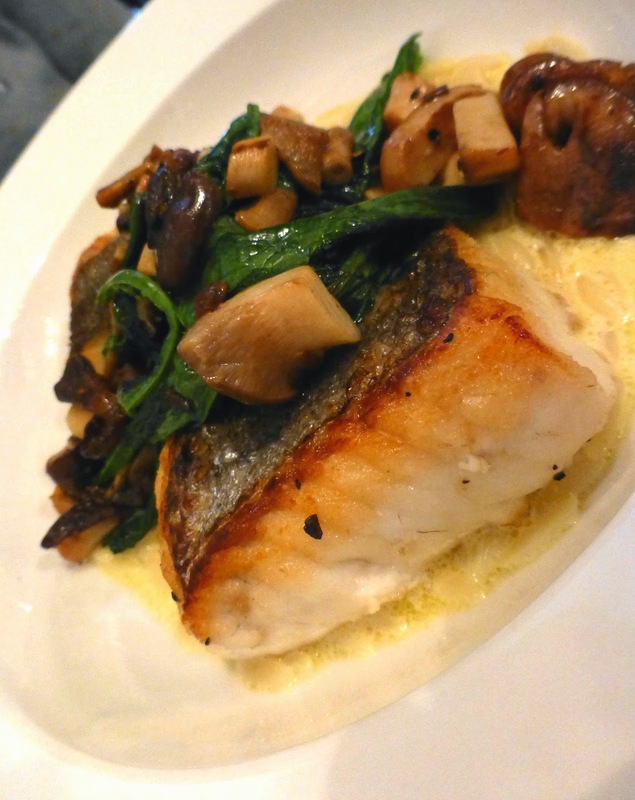 CL picked another cracker: Pan-fried Hake with Ballyhoura Mushrooms, wild garlic and orzo. 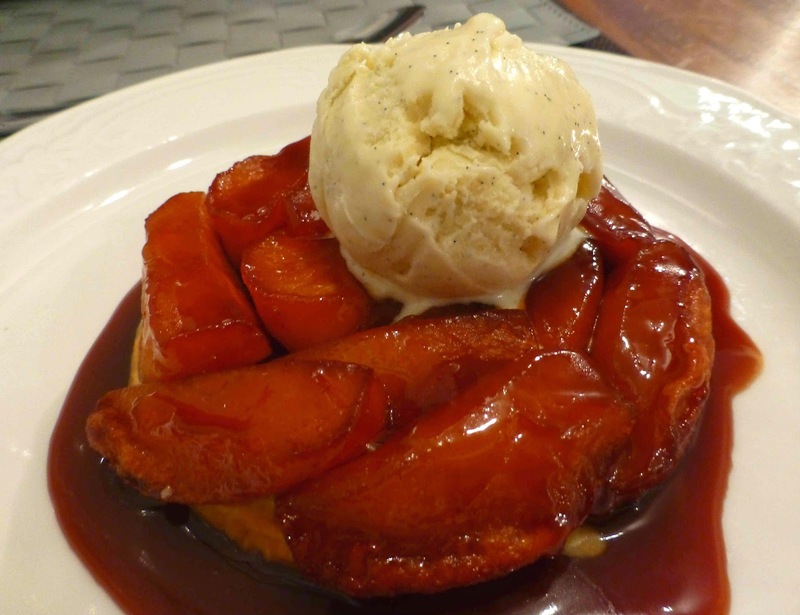 They have a very tempting short list of desserts as well and we shared Martina’s terrific version of Tarte Tatin, served with butterscotch and that luscious Boulabán Farm ice-cream from County Tipperary. The Square Table is open all day from 9.30am but currently serves dinner on just three nights, Thursday to Saturday. Sunday lunch is also available and opening times may be extended as sisters Martina and Tricia (front of house) find their feet. Phone number is 4382825 (021). 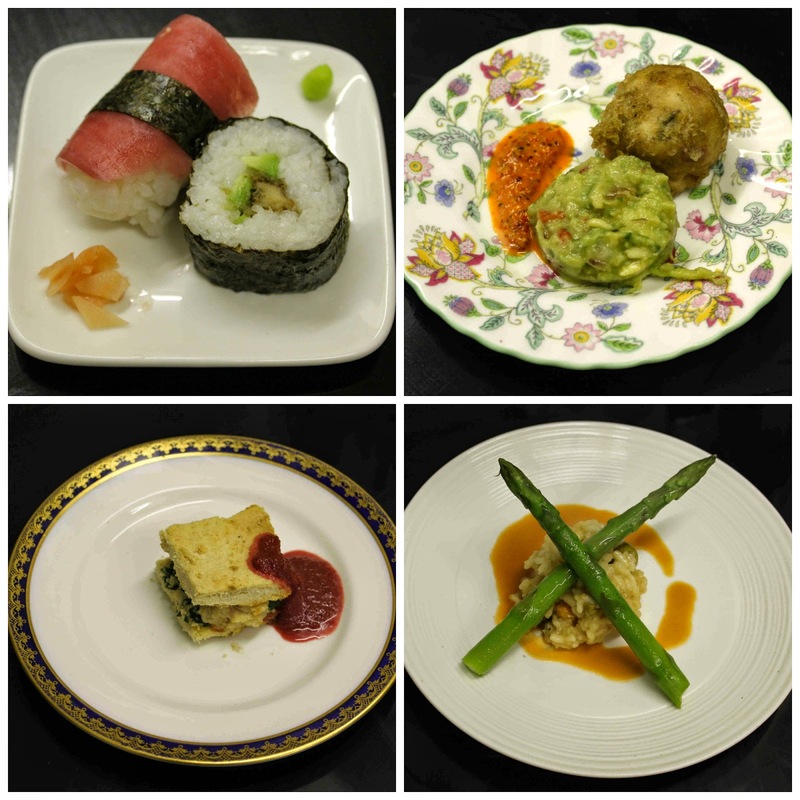 1st course, 2nd, 3rd, 4th. Dee's Wholefoods sponsored last week’s National Vegetarian Week, and Dee herself, whose motto is “Goodness is Tasty”, hosted a pop-up vegan dining club dinner in Cork last Thursday. Well, I joined her and it sure was a very enjoyable experience. It was held in the Barden Supper Club in Leitrim Street and every single course of the ten was a treat. And we had good company as well. You can see the menu below. At the end of the meal, we had a chat and Dee asked what was the highlight. Naturally enough, the courses just eaten came up first but gradually we worked our way back through the menu and, in some cases, certainly in mine, every single course had something to enjoy. Got “ambushed” with the first when I inadvertently picked up a hidden piece of wasabi. That certainly woke up the taste buds. The next two courses were thoroughly enjoyed. Perhaps the Asparagus and Olive Risotto was the highlight of the first half, a really lovely combination of flavors and textures. Mark Cronin is the expert chef here and has problems getting Irish asparagus and indeed, his is the third kitchen I’ve heard say the same thing over the past week, though the other two were on Twitter. I know Lisheen Organics in West Cork grow some great asparagus but surely there must be other Irish growers. After an excellent Bloody Mary Sorbet, with its own celery stick, we started on part two and here highlight followed highlight. The pickled rhubarb was an unusual treat as was the warmed Kimchee (a Korean dish). I loved the texture and taste of the kale and then that stuffed aubergine was a delight, enhanced by the Granny Smith salsa. And then we had that sweet ending. The chocolate and strawberries combined well, as they usually do, and the dusting of coconut was a nice touch. Indeed, the whole event was excellent and demonstrated as Dee said at the outset that you don't have to be a vegan to enjoy this delicious menu. 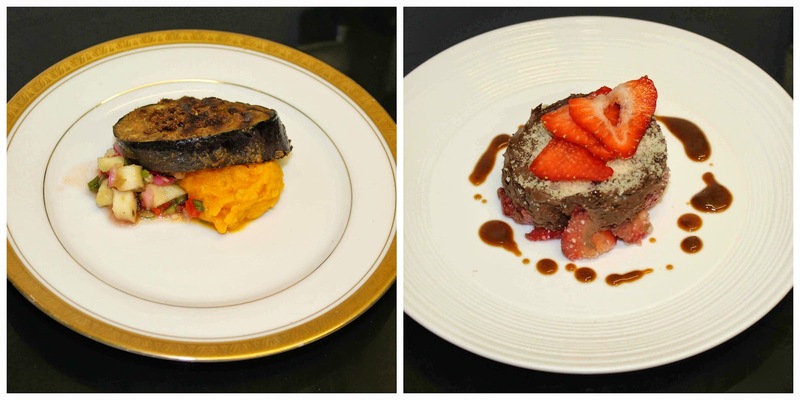 9th course (left) and dessert. 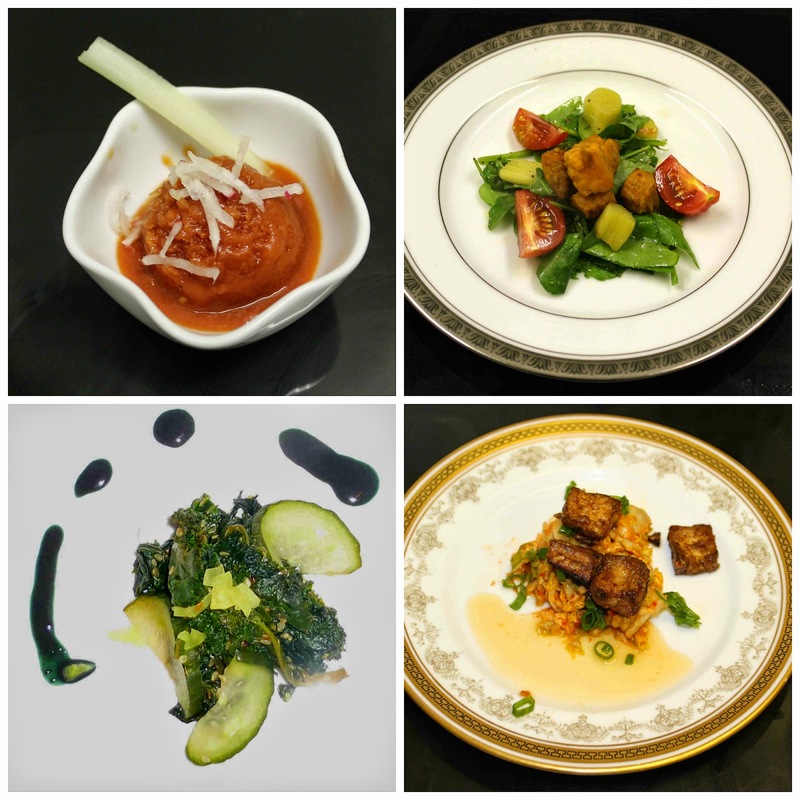 Mark Cronin is adding to his reputation with these vegan menus but he does quite a few styles and his skill is well recognized as parties of restaurant staff are among his clients. Find out more about this interesting club here. Barden Supper Club, 20 Leitrim Street, Cork. By coincidence Síle ní Donaile, a member of a Food Club of 8 members, was in touch that very evening. Basically about once a month one of the group hosts an evening, whereby they invite someone to cook and demonstrate what they are cooking to the group. The group then sits down to eat the food, generally a starter of some sort, main and dessert. The chef demonstrating brings and cooks the food and the hostess provides wine, table set etc. And I have previously posted about another Cork Supper Club, this run by Ruth Stockdale & Banu Balaji. Read all about the social and local South Indian Supper Club here. Fun on the Loire last September. I'm on the skis, just out of pic! L’Atitude 51 is perhaps the best known destination wine-bar in Cork City; owners Beverly and Emma have an extensive collection of wines available, some “fifty of them by the glass’. How best to navigate them? Why not take a river trip, I think to myself. Might not get to them all but it sure will help illustrate the variety and quality available. The round trip, confined to Europe this tour, from Number One Union Quay, takes a few enjoyable hours. Why not join me? By the way, we are drinking the 75ml tasting glass, just to make sure we stay onboard and between the banks. First stop was the Loire Valley, familiar since last summer’s holidays. But we didn't come across this one or indeed any other local Chardonnay. This was a very pleasant surprise indeed, an excellent Chardonnay and a great alternative to Chablis. St Fiacre was active first in Kilkenny and then in France in the 7th century. A renowned gardener, he was reputedly skilled with herbs and may have been, I’m told, one of the first Irish Wine Geese. Villa Huesgen By The Glass Riesling, 2012, Mosel, Germany. Over the border then to the banks of the Mosel, a tributary of the Rhine. Huesgen have been making wine for centuries but they class this as “a modern Riesling”. Certainly it had good fruit, was very well balanced and could be described as easy drinking. Both it and Chardonnay come under the Crisp with Attitude listing here. Two thousand and seven was apparently a very good year for spätleses and this one certainly benefitted. This was full of flavour (not to mention colour), rich and with some sweetness but really well balanced. A superb wine, the best of the whites that we tasted. Spätlese - Literally translated as “late picking” refers here to the Riesling grapes that are picked late during the harvest season. I’m a fan of the Austrian grape Gruner Veltliner and this effort did not disappoint. The maker “strives for the maximum of balance and elegance in his wines” and he got it right here. Dry and crisp, on the palate it is fresh and fruity, rich with flavour and full bodied, with a hint of spice and a good dry finish. A visit to the Danube wouldn't be complete without a glass or two. On one occasion, I was served with mugs of it (two or three glasses worth) in one of the heuriger in the Vienna Woods. It was a good night. Leaving the Danube behind, we headed west again to start our reds with a visit to the mighty Rhone. First stop is close to the town of Tavel, the rosé capital of France, but we were in search of a good Cotes du Rhone and this organically produced wine sure fits the bill. Hints of spice on the nose and on the palate, well balanced and very drinkable, nice fruit and excellent finish. Fruity with Attitude is the official L’Atitude grouping for this one. Chateau Ste Marie (Merlot, Cabernet Franc), 2011, Bordeaux, France. Lots of choice in the Bordeaux region and we stopped at Ste Marie, situated in Entre deux Mers, about halfway between the Garonne and the Dordogne rivers. And it was well worth the visit. With a deep crimson color and generous fruit aromas, this blend of Merlot (mainly) and Cabernet Franc is an excellent drop. The smoothness of the Merlot and the freshness of the Cabernet, helped by 12 months in French oak barrels, makes for a smashing combination on the palate. L’Atitude say Smooth and Intense! First class travel on the Rhone. Our second stop on the Rhone was under the steeply sided vineyards to the south of Lyon, on the eastern side of the river, where this Syrah comes from. This is a pretty typical example of a Northern Rhone Syrah and that means its pretty good. It is quite intense, spicy for sure, but there is no shortage of juicy fruit, and a good long finish. 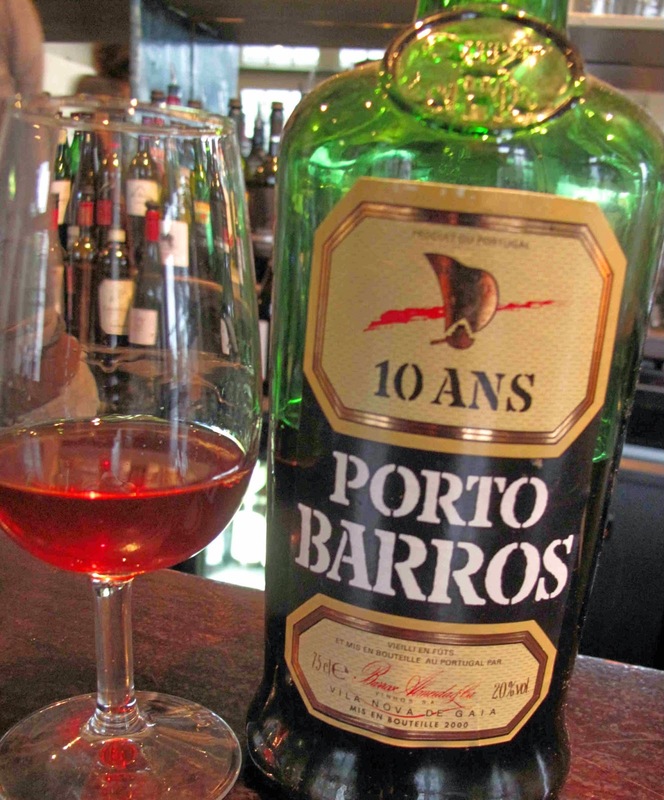 Barros 10 years old Tawny Port, Douro, Portugal. Next port of call was in the beautiful Douro valley of Portugal. We were looking for a sweet finish to our wine voyage and certainly found it in this bottle. CL said she could smell it all night but she went straight ahead and drank it instead, declaring it the “best of the night”. A sip could last you forever (not really) but this is sensational, sweet and warm, unforgettable. Barros has been an outstanding brand in the Port WIne history, since its foundation in 1913, and these are their more considered notes. Dense nose of dried fruit aromas, The soft and silky texture and the subtle nuances of wood are balanced by a fresh acidity and impetus tannic which culminates with a long and elegant finish. Soon we were back on the banks of the Lee wishing that its northern slopes, which we could see from our L’Atitude window, were covered in vines and I was contemplating trying Chateau de Montenotte, Domaine du Tivoli, La Tour de Farther Matthew. Maybe all that after global warming! In the meantime, if you want to try some really good wines, make a beeline for L'Atitude. And remember, they don't just do wines. You’ll find some great beers there as well. And food, from morning pastries to more substantial fare as the day goes on. Music also on occasions. Stay up to date by following their Facebook page here . With an Irish helping hand. In beautiful Provence under the shadow of Mont Ventoux (known as the windy mountain, among other things), winemaker Ciaran Rooney produces this well balanced white in the Irish owned Domaine Des Anges (angels). The colour is like pale honey and it has a charming nose, a mix of white fruit and floral elements. On the palate, it is fresh and fruity (ripe pear), and surprisingly ample with a good long finish. This Highly Recommended blend of Roussanne, Grenache blanc, Bourboulenc and Clairette, was hand-crafted on the small beautiful hillside vineyard in the South of France, all without the use of herbicides or pesticides, respecting nature and tradition. On the side of the angels! Branco and Blanc. Won't break the bank. Black Bacon. Taste of the Week! Sage: a restaurant with personality! Mussel Bites make a Tasty Tuesday Lunch!